Try the Silk Scorpion or the Undercover for some barley awesomeness! If you live in the Madison, WI area and you like beer and food you should probably go check out the newest brewery in town: Karben4! Located where the Ale Asylum used to be, on Kinsman Boulevard near the airport, they have six brews available to compliment their delicious menu items. When I visited I tried the Undercover Session Ale and the Lady Luck Irish Red. I thought both were very enjoyable. But my favorite was the Nightcall, which is a smoked Porter. I had only previously had one smoked beer and that was a very smoky brew. The Nightcall, however, had a much more enjoyable level of smoke flavor, which was present but not overwhelming. So I sampled and enjoyed three of their six beers! So when you’re looking for something to do head over to Karben4, grab some grub and a brew, and have a great time! And don’t forget to take home a growler full of brewing delight! 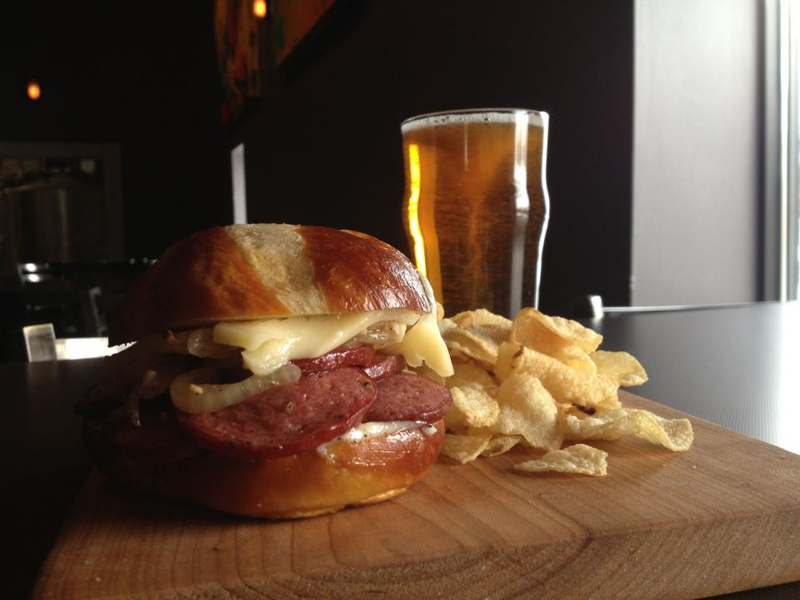 Posted on April 8, 2013, in Breweries, The Barley and tagged awesomeness, Brewery, Brewery Spotlight, Karben4, Madison, madison wi area, sausage sandwich, Silk Scorpion. Bookmark the permalink. Leave a comment.